Our range of water bottles. Branded bags ranging from shopping bags to backpacks and travel bags. Any promotional bags you could want. Hey there! Thanks for having a look at our site! Is there anything we can help you with? This is our quick quotes box. If you’re looking for something you can fill in your details and we’ll get back to you as soon as we can. If you need a quote urgently, please call us on 0861 111 954. Brand Innovation delivers throughout South Africa. We wanted to make this process as quick and easy for you as possible because we know that your time is precious. If you fill in these fields and click the Get Quote button, we’ll be notified and one of our stellar Account Executives will get back to you within 24 hours. 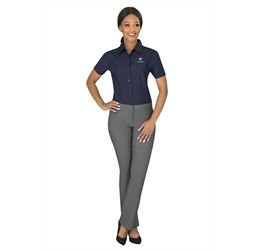 We’re a premier supplier of corporate gifts and clothing in Johannesburg, and we’d love to help you find the best products to suit your needs! Promotional Products Johannesburg are an amazing way to broaden your client base as well as earning the support and continued loyalty of existing clients. A promotional product is an incredible marketing tool and a great way to draw attention to your company. We at Brand Innovation understand that, and know that you only want to give your clients the best products. This is why we stock a wide range of beautiful, brand-able products for you to choose from. Promotional products are a way for a big business to connect with their clients on a more personal level. It’s also a great way for small businesses to grow. Rome wasn’t built in a day, so they say, and that’s a statement that stands true even through to present day. Businesses who are overnight successes very often have years of hard work behind them, laying the foundations for an empire. Promotional products are some of the stones that will make up that foundation, and Brand Innovation is the friend who will help you lay them. We pride ourselves on giving you friendly, personalised service and products that you can be proud to put your name on. We want you to succeed, and we want you to grow, and we want to help you. Promotional Products are a great way to endear your brand to your customers. It’s a great way to keep your brand in their minds after they have left. A gift is a sure fire way to put a smile on someone’s face, and a freebie even more so. It’s the law of the universe; if you’re giving out something for free, people will come. Which means new customers, or potential customers. By giving someone a promotional gift, studies show that you are making them feel 6 times as appreciated by your company as they would be if they had only seen print media or TV spots regarding it. They’re also three times as likely to be loyal to your brand after receiving that gift, and twice as likely to go out and do something about that loyalty. All this in comparison to people who have only been exposed to media about the brand. Which makes something even as simple as a branded pen a very powerful tool. Whoever said that the pen was mightier than the sword was definitely on to something! Where there’s a will there’s a way, and we are willing to help! We’d like to make our site your one stop shop for Promotional Products Johannesburg! Marketing gifts are great. As mentioned above, a gift is a great way to make people more conscious of your brand and your products. Which is why we want to help you have the best marketing gifts that you possibly can. With our range of products and branding options, as well as our friendly and knowledgeable Account Executives, you’re in good hands with Brand Innovation. Because what really matters to us, is happy people. A Marketing Gift can be the difference between someone walking away from you at an expo or staying to chat a little longer and learning a little more about you and what you do. And that personal connection is a very important part of networking. Everyone wants to feel special. Giving someone that special treatment creates a sense of pride, like they are important to your brand. They’re also more likely to remember you and remember how great your brand made them feel. That positive association can take you a long way! Even if they don’t buy from you themselves, they’d been more likely to recommend you to a friend if they feel like they can trust you. Sharing is caring, information in this case. By engaging with one person, you’re not just influencing them, but also all the people that they influence as well. Which is a beautiful, positive domino effect. A little positivity put out into the world can have big results! Promotional Gifts Johannesburg is a term that covers a multitude of options, from lanyards, key chains and pens to notepads, t shirts and water bottles. It all depends on the theme of the event and the company that is promoting. Just as an example, at the last national election, there were political parties giving out t shirts to supporters who signed their forms and took their pamphlets while registering to vote. This is an awesome way to spread the word about your party because a free t shirt is one of the Holy Grail promotional items and people who aren’t sure about their votes will get exposure to their material both in the form of information and fabric. We have a selection of products to suit your needs and a variety of branding options to boot! The way a product is branded can really bring out a product and display it, and your brand, to its best advantage. Though they are usually small items, a promotional gift can have a really big impact on someone. Especially if it’s something that they can use in their everyday lives like a pair of earbuds or a promotional bag. These items are also a great way for them to say something about themselves, giving signals to other people without having to verbalise it. Much of the communication that people engage in is nonverbal, from posture and hand gestures to facial expressions. Another way that nonverbal communication makes itself known is through branding. How, you might ask? It’s not like people go around tattooing their favourite brands on their skin for the world to see. Well, they might, but it’s certainly not as popular as Ye Olde Faithful heart with Mum written in it. The great thing about communicating with brands, aside from that they make you look great, is that you don’t need permanent body modification to be a part of this. Everything from simply wearing your favourite branded t shirt to carrying around a branded bag. And this goes beyond your Gucci bags and Lacoste shirt. The way we think of things, brands tend to be something that we set on a pedestal, like big name brands like Nike and Yves Saint Laurent. But most things are branded. You may not be a Dior kind of woman, but you could be a Hello Kitty, or a Wonder Woman. Maybe you’re the kind of guy who wouldn’t be seen dead without his Freedom of Movement accessories? Or maybe you’re ride or die for Billabong. Whatever it is, whatever your hobby or your clothing or product preference, most people have their brands that they love. Which brings us back to Promotional Gifts, which are a fantastic way for a company to not only get a little advertising and networking done, but is also a great way to help someone communicate something about themselves. Whether it’s a perfume sample that you got when you brought something at a cosmetics boutique or if it’s a bag or lanyard that you scored from your favourite gaming company at an expo, it’s a way to tell the world about yourself. Branding is an amazing communicative tool, and promotional products can form a huge part of that. Hospitality Gifts Johannesburg have the same purpose that promotional gifts have. In fact, they are often promotional gifts in a sense. But these are the kind of gifts that can encourage repeat custom or maybe a slightly longer stay. Of course, service is what it boils down to, but these little extras, like a pair of slippers or chocolate on your pillow with the turn down service, these little touches can really make someone’s hotel experience. Hospitality is a highly competitive industry and a gift to your client can really help to give you the edge over the competition as well as impressing your client. And after all, the client’s experience is important. Hospitality gifts are incentives to come again and reminders of what an amazing time you had with that company. Remember how stress free your business trip was when you stayed in that hotel? Remember how comfortable the bed was? Remember that stunning view? Or that time you went on holiday and had to make an unexpected stop because your car broke down? That hotel was the silver lining, and they treated you so well! The key ring that they gave you is on your car keys now, a constant reminder that you should go back there some day – without having to have your car break down first. Hospitality can take you off the beaten track and make even bumps in the road into worthwhile adventures. And gifts add to this experience, taking something great and making it amazing. Keeping that experience in your mind and encouraging you to go back and do it all over again. That’s the power of a hospitality gift. It’s giving someone a memory that they can take home and relive at any time they want to. Travel Gifts Johannesburg are an amazing combination of promotional and hospitality gift. Like the mythical Chimera that is neither one thing nor the other but more powerful than both, the travel gift shines. A travel gift has the dual awesomeness of being both a great way to commemorate a trip and the possibility of being really useful on that trip. Practical gifting very well received on a trip, especially one where you need to pack light. Brand Innovation has an amazing selection of stunning travel gifts that we can brand for you that have practical applications whether you’re heading off for a week in the bush to commune with nature, or if you’re getting off to enjoy the beaches of Bali. Even if you’re intent on hoofing it around the beautiful New York City for a conference, we can help. With our selection of products that extends from water proof pouches and passport holders to money wallets and conference bags, we have a great selection of beautiful, brand-able products that make amazing gifts for travellers. Worried about having enough power in your phone when you’re canoeing the Grand Canyon? Our solar power banks can be left out in the sun to charge while you’re paddling and can then charge your phones when you need them! Some of them even double as torches so that you don’t have to weigh yourself down with torch batteries. And if you’re sending a tour group off into the great wide yonder, then a backpack to carry their things in or a tour t shirt to commemorate the occasion is a great way to give people a tangible memory to take home with them. And because of the natures of printed t shirts and the curiosity of people that these t shirts can start a conversation about your company. The recommendation of a friend can be a really strong motivator in someone’s decisions to take on a travel adventure. Help that recommendation along with travel gifts Johannesburg. Technology Gifts Johannesburg are an amazing corporate gift, and depending on the tech, an executive gift. Technology is easily accessible these days with large portions of the population having smart phones. Smart TVs are becoming more common place, and computers are in most workplaces. This means that almost everywhere you go, technology has some kind of application, from flash drives to power banks and so much more than that. Power banks are an amazing gift because they can really help to boost the way that people can communicate with each other, it can affect the way that you interact with nature. We have solar power banks and bamboo USBs as well as VR headsets and other incredible products that make for amazing promotional technology gifts. The way that technology has advanced in the last ten years alone is enough to make heads spin! We’ve gone from strength to strength and from power to power. We’ve gone from dial-up internet and search engines that needed a knack for hitting the right search terms to fibre and Google’s index being complex enough to turn up the song you’re looking for when you search the misheard lyrics from the second last line of the song. The world has come a long way in a very short space of time. Giving gifts that allow someone to engage with and experience the world of technology is a wonderful way to embrace the progress that humans have made. A stylus pen that works on touch screen devices is a great way to allow someone to function across multiple devices, from phone to tablet to touch screen computer. Technology is a wonderful asset to businesses and a promotional or corporate gift that can engage with other technology makes for a great gift! End of Year Gifts Johannesburg are a superb way to show your appreciation for your business partners and clients, as well as your employees! An end of the year gift is a way to say thank you. A year is a long time, even though it sometimes doesn’t seem like it, and people put a lot of hard work into things for each other over the course of that year. From an employee who goes that extra mile for your clients, to a business partner who pulled through for you in a tight place. A gift goes a long way towards showing your appreciation and how thankful you are for everything that they have done for you over the last 356 days. Whether it’s something novel that will put a smile on their faces or something practical that will help them or better their lives in some way, an end of year gift is a wonderful way to make people feel special. We’ve got a pretty impressive collection of gifts for you to browse and get inspiration from. And if there’s something specific that you’re looking for, we highly encourage you to give us an email or a call so that we can help you find those perfect End of Year Gifts Johannesburg. Unique Gifts Johannesburg are also important. It’s all very well giving everyone on your staff the same generic Thank You card. They’re going to know, people are pretty smart. But getting them a range of fun and useful gifts to show your appreciation is an amazing way to show you’re appreciation, while giving them a physical token of that gratitude. Unique gifts, gifts with your company’s branding on them, these are ways to let people know that they are truly appreciated. Power banks are a great gift, and they can be really useful as well as really fun and playful. And there are a lot of them out there. Get something unique like a bamboo power bank, or a solar power bank, or a power bank that doubles as a phone stand or speaker. That little extra something can really double the enjoyment of a gift and makes for a wonderful and well received gift. The Importance of Corporate Gifts lies largely in mutual appreciation. If you have a business partner who has given you a lot of work over the course of the year then a gift is not only a way to say thank you. Which is very important! Whoever said that manners would get you far in life was a very wise person. A thank you not only acknowledges all the good that that person has done for you, but also encourages them to do it again. If someone is grateful and appreciative of your efforts when you do something for them, you’re much more likely to do the same again. It’s also a great way to network. Networking and communication are a great way to build relationships with your clients, your customers and your staff. Building a network of contacts and people that you have a good rapport with is a great way to not only grow your business but also a great way to give your business a good reputation. That reputation will stand you in good stead. As an example, Brand Innovation has a reputation for delivering on time. We’re proud of our reputation and we’re proud to be able to deliver quality to our clients when they need it. We’ve gotten clients on that reputation and we’ve kept them with it. Corporate Gifts Johannesburg – when you’re looking for a corporate gift, you’re looking for a company that will see you through. One that will give you good quality products and friendly, fast, efficient service. Which is why you should order from us. We’ve been in business for 11 years now. We have experienced and energetic staff who like to make people happy. When we brand someone’s gifts, we are as excited to see your brand on your product as you are, and a job well done is celebrated throughout the office. Our goal here is to delight you. We want to knock your socks off! Having you put your trust in us and our company means a lot to us, whether you’re a first time client or repeat customer, we’re glad you’re here! We’re here to help you get the best products you possibly can, be they promotional products or Corporate Gifts Johannesburg. Corporate Gifts Online – when you’re in the search for your perfect corporate gift, you want to keep the process as pain-free as possible. You’re a busy person and things like this can take time. Walking from shop to shop is exhausting and often a fruitless exercise. Which is what makes online shopping such a wonderful invention! Online shopping is quick, there are multiple products on display, the categories are all there neatly displayed for you to click on, and you can add to basket and proceed to check out and rest easy in the knowledge that you don’t have to worry about this until your products are delivered. This is why Brand Innovation specialises in corporate gifts online. We know how valuable your time is. You can order your corporate gifts or promotional items from anywhere in South Africa, have them branded and delivered to you. 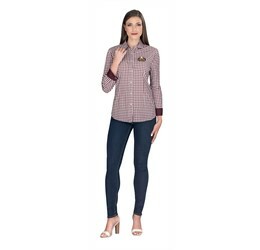 Online shopping is an awesome time saver when you’re in a rush and don’t have time to take out of your day to head all the way down to the store. It takes time, fuel and energy to get down there and you fill out the same order on our site with none of the petrol costs and a fraction of the time. This is why we’re so happy to be able to offer you Corporate Gifts Online. 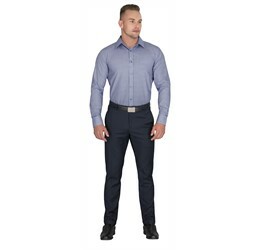 Webstore Johannesburg – Johannesburg is a bustling city full of businesses that need products. But taking time out of the work day to go and get those products can be a huge mission. It’s an effort, if you use your own money you have to get company reimbursement. Online shopping is so much easier, can be credited to your company directly and doesn’t involve anyone leaving their desk. This makes online shopping a really great business resource, especially for products like pens, pencils and notepads, as well as promotional products. Things that you need a lot of and won’t find in your average supermarket. When you’re looking for bulk products at a good price with reputable delivery, then chances are that you’re looking for a Brand Innovation site. And what better one for all your Gauteng needs than our Webstore Johannesburg, PromoJozi? We have the products that you need all ready and waiting for you, and we deliver all over South Africa. Our focus here is on Gauteng, because we know what a hub of industry it is. We deliver to Pretoria, Midrand, Randburg, Sandton, Centurian, Roodepoort and Johannesburg. You get all the benefits of dealing with us, focussed on Jozi and its surrounds with our stunning Webstore Johannesburg. 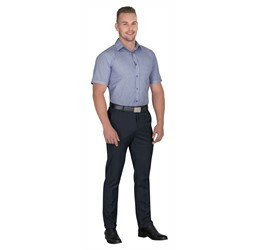 Gifts For Men South Africa – Finding gifts for men can be as easy as thinking of something that you know would make a man in your life smile and clicking on it when you see it on our website. We have a whole range of ruggedly masculine gifts to suit the XY chromosomes among us. From hunting knives and braai kits to sleek notebooks and pens in stainless steel and black pleather, we have everything that you could possibly need for the perfect men’s gifts. If you’re aiming for a slightly different target, we also have grooming kits and men’s pamper kits, so that a hard day at work, a man can relax in the comfort of his own home. After all, a man’s home is his castle. When you’re looking for something to suit the more rugged half of the population, we have an awesome selection of Gifts for Men South Africa. 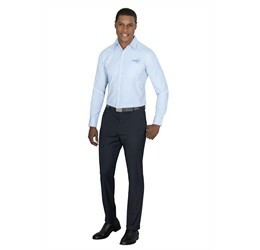 Corporate Wear Johannesburg – In an area so heavily industrialised and populated by businesses, corporate wear is a highly sought after. 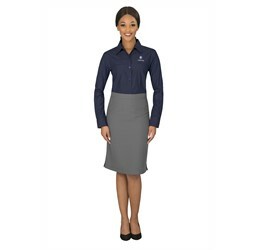 The process of choosing your own corporate uniform can be as simple as browsing our site and choosing the items that you would like to be quoted on. 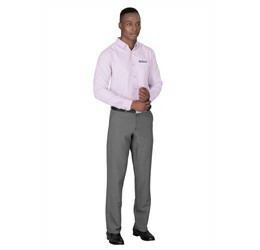 Our team of awesome Account Executives is ready and waiting to help you with sizes and pricing so that you can get the best corporate uniform for you. 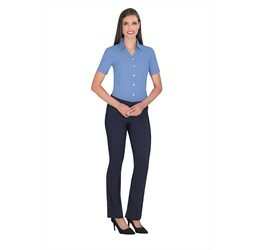 A corporate uniform can be anything from a t shirt, maybe with a cap, to a full on suit and tie. It all depends on your environment. 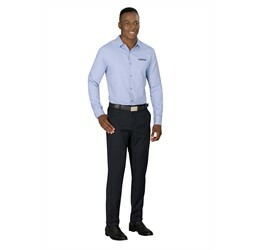 We have a selection of products that will suit ever occasion and company. From t shirts to lounge shirts and waistcoats. Whatever you need to make your business look it’s best, we are here and we want to help you to achieve that goal. 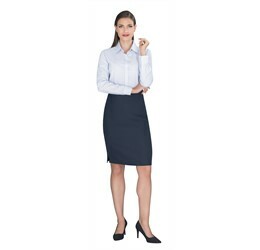 Looking the part can really help your mind set when it comes to work, and representing your company can give someone a great sense of pride. This is why we are here and ready to help you get the best Corporate Wear Johannesburg. Branded Pens Johannesburg make for stellar promotional products, as well as just a standard thing for companies to have. Banks have pens branded with their company logo so why shouldn’t you? It makes any company paperwork that much more official when you can sign and fill it in with a company pen. Branded pens are cost effective items, which is what makes them so great for promotions. That and the promotional pen is something of a staple promotional item. They’re really useful, they’re small, and they’re lightweight. A promotional pen is a winner, and a branded pen is also a great way to bring more attention to your company. Branded pens are also a great way to keep track of the stationery consumption in a workplace. There are an endless list of functions for these incredible promotional products. A promotional pen is an amazing and practical tool. They look great, they can be used for a company or as a giveaway, and we have an incredibly wide range of pens for you to choose from. We even have high end branded pens like Montblanc and Cross that can be used as high end corporate gifts. There are a thousand and one different kinds of pens out there, and just as many uses for Branded Pens Johannesburg. Branded Umbrellas Johannesburg - when you’ve got summer rainfall, dancing in the rain seems like a more viable option than it does in areas where there’s winter rainfall. But not all of us are that keen on getting wet and for that we have Branded Umbrellas. A branded umbrella is a fantastic way to show off your brand loyalty while keeping dry. Gauteng is one such area, and cities like Randburg, Johannesburg and Centurion are great places to have branded umbrellas. A branded umbrella is an awesome promotional gift, as it’s both practical and pretty, and something that many people in South Africa will appreciate. A 2013 study shows that most South Africans use public transport to get around and with that a little walking is usually involved. That means that an umbrella or some kind of waterproofing is an essential in their day to day gear, be it winter further south or during those summer showers in the North. Umbrellas are also a great company investment, especially for large companies or companies like nurseries where customers are wandering outside in the rain to do their business. A supply of branded umbrellas make a great addition to a company or as a promotional gift. When you’re looking for a practical branding solution for both staff and clients, a great idea would be Branded Umbrellas Johannesburg. Corporate Gifts Gauteng covers a wide area. We are suppliers of corporate gifts all over Gauteng, including Midrand, Centurion, Joburg and Randburg. When you have a need for corporate gifts in Gauteng, Brand Innovation has got you covered with our convenient promotional goods website, Promo Jozi. We have a wide range of products for you to choose from that can be used both as promotional products and as corporate gifts. We do branding and we can deliver to you! When it comes to corporate gifts, we’re a premier supplier in South Africa with a reputation for delivery and flair for excellence. Our staff are friendly and professional and we do our best to give you the best products. All this because we believe that we’re the best and we want you to believe it too! Our main aim is to make you happy, and doing that makes us happy! We want to be your top supplier of Corporate Gifts Gauteng. Branded Corporate Gifts South Africa are a great way to show you appreciation for your clients, your staff and to your business partners. A thoughtful gift can be a great way to say thank you for all the hard work that someone has done for you. It’s also an awesome way to encourage them to do it again. By thanking someone you’re showing them that you are grateful for their effort, and that can go a long way towards building a good rapport between you and your partners or clients as well as your staff. Staff like to be appreciated and a corporate company gift can be an excellent way to show them that you do value their hard work. A happy worker is a productive worker, after all! And a happy client is one more likely to give you business again in future. Not only that but a happy client is one who is much more likely to recommend you to their friends and increase your circle of influence through word of mouth. Word of mouth can be a very powerful marketing tool and giving someone a branded corporate gift has been proven to make people feel six times as appreciated by your company as simply viewing company related media is. Which is why we have such an awesome selection of Branded Corporate Gifts South Africa. T-Shirt Printing Johannesburg is a great way to get your brand out there. A promotional t shirt is a quick and easy way to get some advertising done. Someone wearing your t shirt exposes you to a very wide range of different people, thus broadening your audience and making your brand stand out! 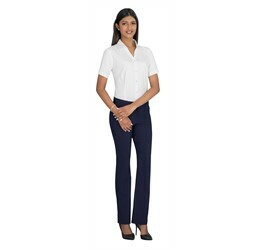 A printed T shirt can also make a really great corporate uniform for a more casual company or event. 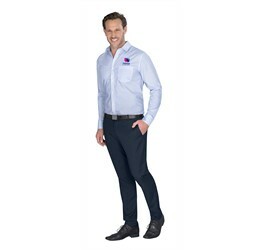 Fun runs, party planners or film crews are all the kinds of companies that benefit from having a lightweight, fun looking uniform that allows them freedom of movement. And all this can be done with us, a company that does t-shirt printing Johannesburg. 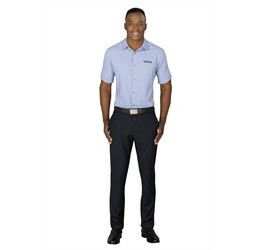 Golf Shirts are another awesome uniform item that we supply, in a range of weights, fabrics and colours. We have the beautiful, locally made, high- end Gary Player collection of products, ready to give you beautiful quality, Proudly South African products. 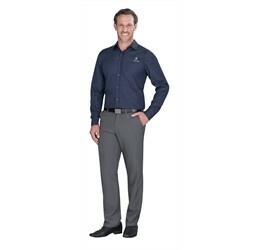 We also have products that are made from 100% cotton and a great deal of other beautiful golf shirts that would make for a stunning part of your corporate uniform. 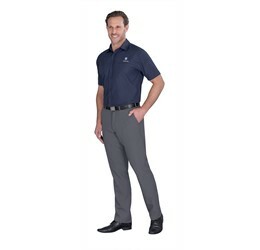 The reason Golf Shirts make such fantastic uniform items is because they are so very versatile. 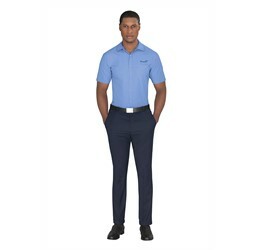 Originally invented for use as a sports uniform, the golf shirt allows for a lot of breathability and movement that more formal shirts restrict. 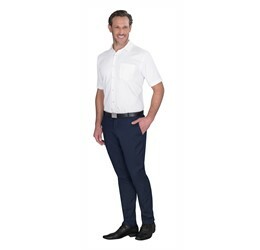 But at the same time, the collar that it has echoes a more formal garment and makes it the perfect balance between a formal uniform shirt and a less formal, more moveable t shirt. 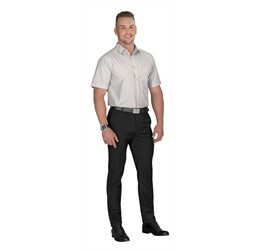 Soft and comfortable, and yet ever so stylish, the ultimate hybrid shirt for both office and sports field has to be the golf shirt. Branding companies in Johannesburg are a way to get your company, your brand out there. They provide a great service in providing you with products that allow you to be able to spread the word about your brand, and grow your influence. When you’re looking for a branding company, you want one that produces high quality products and delivers your goods to you when you need them. We’re a premier supplier of branded goods in South Africa, and a great choice to make when you’re looking for Branding Companies in Johannesburg. Promotional Items Sandton, Corporate Gifts, Hospitality Gifts, Travel and Technology. All of these are things that we use and engage with on an everyday basis and these are the things that we want to provide you with. We’re a company that believes in South Africa. By helping you grow, we’re helping to build our own country and that means a lot to us. A promotional product can help to grow your client base, it can help to grow your business. Because we are invested in growing businesses, we want you to have the best possible products, and we want to work with you to make sure that you have the best opportunities and the best Promotional Products Johannesburg.